Today, July 8, 2011, the Space Shuttle Atlantis launches for the last time at Kennedy Space Center Launch Pad 39A on mission STS-135. The space shuttle Atlantis will carry the Raffaello multipurpose logistics module to deliver supplies, logistics and spare parts to the International Space Station. Atlantis also will fly a system to investigate the potential for robotically refueling existing spacecraft and return a failed ammonia pump module. When Atlantis returns to earth, the United States as a nation will officially surrender its leadership in space, paying an exorbitant price for a ticket aboard the ships of other nations. 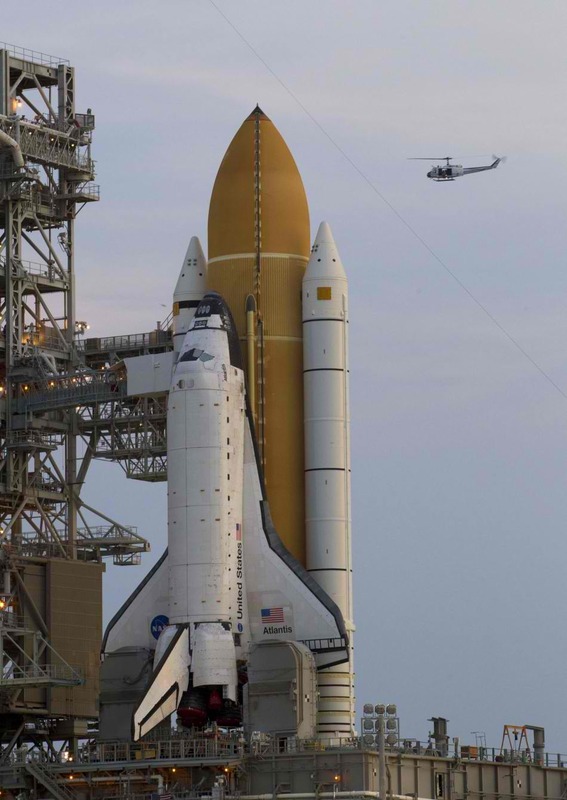 The three shuttles which have completed only half their missions will be mothballed and put on display around the country. The Steven F. Udvar-Hazy Center at the Smithsonian’s National Air and Space Museum will become the new home for shuttle Discovery. The Prototype Shuttle Enterprise, currently housed at the Udvar-Hazy Center will move to the Intrepid Sea, Air & Space Museum in New York. Space Shuttle Endeavour will be housed at the California Science Center in Los Angeles. Atlantis will be on display at the Kennedy Space Center Visitor’s Complex in Florida. The Johnson Space Center in Houston, one of the centers for space flight development, was snubbed. How very sad! !